No, Sage Farm is not certified organic. The grain that the goats eat is certified organic. The hay and pasture they eat is not certified, although on our own land, we do not use any pesticides or non-organic fertilizers. Under the National Organic Program, animals used in organic milk production can NEVER be treated with antibiotics. While we do not use antibiotics in our herd unless absolutely necessary, in cases where an animal's well-being is at stake, we do treat them with antibiotics accordingly. Under National Organic Program standards, that animal would have to be permanently removed from milk production. On a small dairy like ours, that would be impractical and wasteful. When an animal on our farm is undergoing any type of drug treatment, her milk is discarded and not used for cheese production until all residue is undetectable in the milk. Luckily, we have only needed to use antibiotics and other drugs not approved in organic production a handful of times. Sidenote: All milk sold in the U.S. is tested for antibiotic residue before entering the market. It is illegal to sell milk with detectable antibiotic residue. Why grain? Why organic grain? Is your grain GMO-free? To maintain high milk production over the course of a 10-month season, lactating goats must be fed a diet that is balanced in energy, protein, and vitamins and minerals. We raise our goats on pasture, browse, and grass/clover hay, which vary seasonally in their nutritional composition. We rely on grain to achieve a balanced ration and optimal milk production. We recognize that grain is a large farm input that comes from outside our local agricultural region and that feeding grain has far-reaching impacts on land use and the consumption of fossil fuels. We choose to purchase organic grain because organic farming practices are designed to minimize negative environmental impacts by using fewer and less toxic pesticides and fertilizers. We hope that organic farmers are more likely to maintain soil health while limiting runoff by using techniques such as crop rotation, planting cover crops, and fertilizing with composted waste. The grain we purchase is GMO-free, as are all certified organic products in the U.S. In fact, our cheeses are entirely GMO-free as well. Considering both taste and tradition, we choose to use animal rennet in all of our cheeses. While the use of microbial rennet allows cheesemakers to call their products vegetarian, we feel that milk products themselves are not truly vegetarian, as most dairies regularly slaughter some animals. After all, in order to have milk, an animal must become pregnant and once that animal gives birth, the offspring (especially males) do not always find a place on the farm. Animal rennet, a naturally occurring enzyme found in the stomach lining of young calves, is a by-product of veal production. We feel that if calves are going to be slaughtered for veal, it is best to use as much of the animal as possible, hence, rennet. Additionally, we like the traditional flavor animal rennet contributes to our cheeses. Are your cheeses pasteurized? What is pasteurization? Some are, some are not. Federal law mandates that all cheeses that are aged less than 60 days must be pasteurized, which means that all of our fresh and bloomy rinded cheeses are pasteurized. Our longer aged cheeses, like the Worcester Tomme, are made with raw milk. All cheeses are labeled either pasteurized or raw. Pasteurization is a method used to kill potentially harmful pathogens in raw milk. Pasteurized milk is heated to at least 145 degrees Fahrenheit and held at that temperature for at least 30 minutes. Unfortunately, pasteurization also destroys much of the beneficial bacteria that is naturally present in raw milk. In the cheesemaking process, bacterial cultures are added back into the milk to create the conditions necessary for specific types of cheese. Why aren't all of your products available all the time? 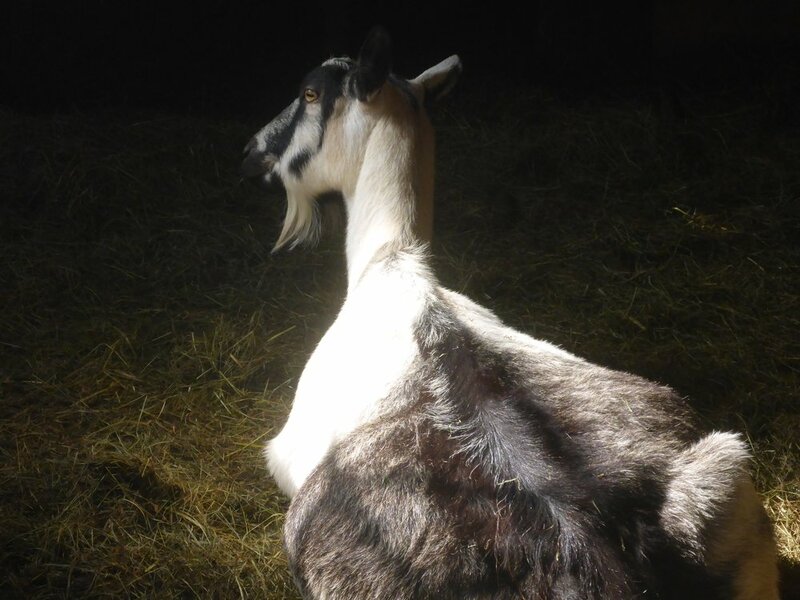 Our farm is a seasonal operation, as goats are naturally seasonal in their breeding habits. Does generally come into heat (can be bred) between the months of August and December. Their gestation period lasts 5 months. Because we have very cold winters in Vermont, we concentrate our kidding in the months of March and April. We will then milk our herd through December, giving them a rest (their maternity leave) during the months of January and February. This natural cycle means that we only have access to fresh goat's milk for 10 months of the year. We can't make fresh goat's milk cheeses without fresh goat's milk and that is why some of our products (fresh chèvre and shorter aged cheeses like Sterling and Madonna) are not available in the dead of winter. In this day and age we are used to being able to have all foods available at all times of year, but we find that the first batch of fresh chèvre in the springtime is worth the wait. Do you sell raw goat's milk? No, we turn all of our milk into cheese. Is goat's milk healthier or easier to digest than cow's milk? There is no scientific evidence that goat's milk is "healthier" than cow's milk, but it is often easier to digest for people who have trouble with cow's milk products. The fat globules in goat's milk are smaller than those in cow's milk, and there is some evidence that this property makes it easier to digest. Goat's milk and cow's milk have roughly the same amount of fat and protein. Do you offer internships or host apprentices? We currently hire one intern each season. The internship runs between mid-March and mid-December. For more information abut the internship or to apply, visit the contact/internship page. No. We keep a closed herd to minimize exposure to contagious diseases. We do sell bucklings every spring that will be ready for service by mid-late fall.